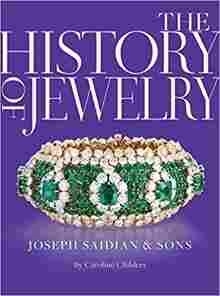 Every piece of jewelry tells a story, and none more so than the exquisite pieces in this book, which have passed through several notable owners before arriving at Joseph Saidian & Sons, an antique jewelers shop nestled in the Manhattan Art and Antiques Center. Each chapter is centered around a particular piece of jewelry and the way in which it is emblematic: a previous owner, an exemplary design or dominant material. 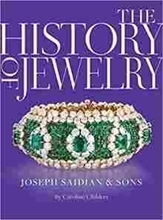 From an array of historic pieces from Van Cleef & Arpels to a discussion of Indian royalty and its relationship with jewelry to pages filled with exquisite pearl jewelry, this book satisfies both the casual fan and the devotee with full-color photographs and informative themed chapters.